If you spend any time at all thinking about what to ask for in the barber’s seat, you’ll know that men’s hairstyles change just as frequently as fashion trends. Every year a myriad of new cuts emerge, all touted as the next big thing. And so they might be… for all of five minutes. The key to ensuring your lid doesn’t wind up looking dated the following week is to pick something that will stand the test of time. It doesn’t matter whether we’re talking about clothing, footwear or cars – timeless style will always trump fleeting fads. And that goes double for what’s on top of your head. It also pays to know the type of haircuts that will suit your specific face shape. However, determining the trims that are built to last isn’t always an easy task. Which is why Ape has created this definitive guide to the most futureproof men’s hair trends to crop up this year. Anyone with even a passing interest in menswear will have been unable to ignore the current wave of maximalism sweeping over the fashion landscape. Slim cuts and streamlined silhouettes are giving way to wide fits and over-the-top branding. But north of the shoulders a very different story is unfolding. Pompadours, quiffs and other such lofty styles have ruled for the past several years, but short and neat trims are beginning to creep back in. Of course, longer styles are still around. However, with tonsorial trendsetters such as David Beckham, Liam Gallagher and even Justin Bieber all embracing cropped cuts over the last year or two, big hair is undeniably on the way out. Keeping that in mind, Ape has rounded up the best of the best of this year’s men’s hair trends and why they’re worth going under the scissors for. The textured crop took the world by storm when it was revived by Cillian Murphy in Peaky Blinders. 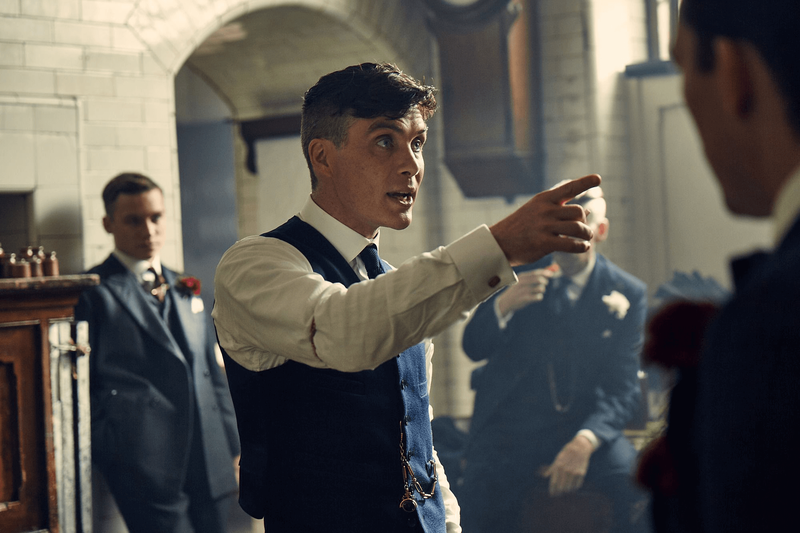 Murphy’s character, Brummy gang leader Tommy Shelby, wore the style with an disconnected undercut, but that’s beginning to look a bit dated. Instead we’ve been seeing the cut being worn with a fade or a taper. This allows for a smoother transition between lengths and a less harsh look overall. It’s a cut we’ve seen sported by everyone from Murphy himself, right through to trendsetters such as Tom Hardy and Zayn Malik. And it doesn’t look set to be going away any time soon. To get the look for yourself, simply ask your barber for a textured crop. They will then be able to advise you on what sort of length will work best on the back and sides according to the shape of your face. In terms of styling and the right hair products, try working a matte clay through the hair and nipping to the barber’s every three to four weeks for a tidy. During his footballing career, David Beckham scored 85 goals and sported roughly the same amount of hairstyles. Admittedly, not all of those have been the sort of trims a self-respecting gent might wish to emulate. However, when the England star unveiled his latest chop back in April everyone wanted a piece of the action. The crew cut is one of the most timeless hairstyles a man can choose. It’s neat, it’s smart, it’s relatively low maintenance and it works to complement each and every face shape. What’s more, the Beckham update – with it’s messy styling and choppy texture – gave this classic look a welcome contemporary twist. For these reasons, the choppy crew cut makes it onto our list of this year’s defining cuts, and it couldn’t be easier to get. Any self-respecting barber will be more than aware of the cut Beck’s is sporting at any given time. So if you kindly explain that you’d like his most recent crew cut, they’ll no doubt know what you mean. To be double sure, it’s always good practise to take a photo along. There are certain men who seem to turn everything they come into contact with to gold. One such chap is Donald Glover. And his Midas touch extends to the world of men’s hair trends, too. The full afro is still a look reserved only for the brave, but Glover has made the style accessible to those of us with conservative tastes as well. It’s a look that the musician/actor has been rocking for quite some time. But as shorter styles continue to be big news, it seems more relevant than ever before. The style has made it onto our list due to its versatility, timeless looks and easy styling. If you fancy the look for yourself then things couldn’t be easier. First, you’ll need to grow your hair out a bit so that there is sufficient length for your stylist to work with. Then it’s a case of picking the right barber. Try to select someone who specialises in afro hair for best results. Styling-wise, simply apply a sea-salt spray to damp hair and either blow dry or allow to dry naturally. Team with stubble or a short beard to channel some of Glover’s effortless cool. A firm favourite of everyone from ink-knuckled denimheads to East-London hipster baristas, this throwback style has been highly popular for several years now and looks set to become a modern classic. It can be worn long or short and with either a disconnected undercut or a fade on the back and sides. The style’s transcendent good looks have seen it worn by the likes of Brad Pitt, Beckham, the Justins – both Bieber and Timberlake – amongst others. So while there’s no denying it’s something of a hipster favourite, this many A-Listers can’t be wrong. To make a slicked-back hairstyle work for you, you’ll need to make sure you have adequate length to begin with. Mid- to long-length hair will work best as it will give your barber something to play with. Just don’t have a panic attack when you see it all getting shaved off the back and sides with the clippers. Depending on how short you decide to take things on the sides, you’ll need to make regular visits back to keep things looking sharp. About once every two to three weeks should do the trick. When the cards have dealt you a receding hairline it can be easy to feel as though your days of sporting a fashionable haircut are behind you. But this doesn’t have to be the case. The buzz cut has been making follically-challenged men look badass for as long as there have been clippers. And, as luck would have it, it’s now very much on trend. We spoke above about short haircuts being en vogue, and it’s doesn’t get much shorter than a grade one or two all over. Several celebrities have embraced the look recently, including Zayn Malik, Channing Tatum and Robert Pattinson. There’s an obvious draw to the buzz cut aside from it’s clean looks: this style isn’t going to require a huge amount of upkeep. In fact, if you don’t fancy forking out on repeated trips to the barber, there’s no reason you can’t keep things in shape yourself at home with a pair of hair clippers. In terms of styling, don’t. Simply lay back and relish your additional 15 minutes in bed.